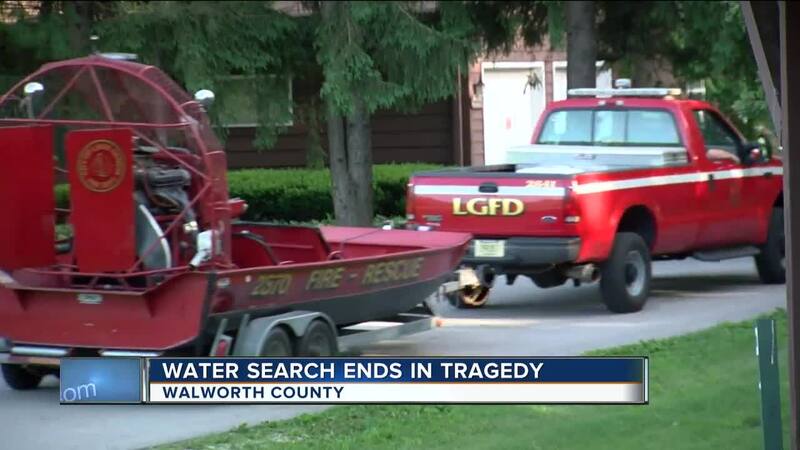 WALWORTH COUNTY -- The body of a 14-year-old boy who was last seen swimming Sunday afternoon in Walworth County has been recovered in Peters Lake. Dive teams were called to Camp Timber-Lee on Peters Lake just before 4 p.m. Sunday. The director of Camp Timber-Lee tells TODAY'S TMJ4 an employee of the camp heard distress calls in the water -- and called authorities. The boy who was in the water was not from their camp, the director says. According to the Walworth County Sheriff’s Office, the child was out enjoying a day at the lake before he went missing. The Sheriff’s Office says they used a drone, helicopter, boat, and the dive team to search for the boy. His body was recovered around 7:30 p.m.
No other information has been released at this time. Stay with TODAY'S TMJ4 for further updates on this developing story.